The band exists since the summer of 2007. Its first publication followed in 2008 in the shape of the Demo-CD "The Art Of Metal". It was recorded and produced completely by the band itself. This piece is a snapshot on the bands path to searching for and finding their own sound. Influenced by many styles, these first recordings tried to bridge the gap between classic Black- and Thrash-Metal riffings, progressive rhythms and solemn, melancholic melodies with a touch of Blues. This and a mix of shouts and singing was the foundation from which LILITH's sound started to develop and to take further shape. The following three years were packed with several gigs in the Munich area and southern Bavaria. 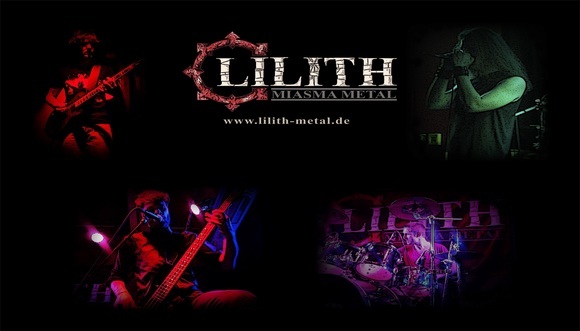 This is what defines LILITH and their music. "Catharsis" is the name of the debut album which was released 2011. It marks a further step in the evolutionary history of LILITH. The music has become more mature and the band has found its own style. The arrangement of the songs is in one pour. Yet, the LP as a hole as well as each track cannot be confined to a definite style. Currently. the band is working on a follow-up album. The working title is "Grown From Scorn" and is scheduled to be released during the year of 2016.